Description: KXPZ (99.5 FM, "The Rocket") is a commercial radio station licensed to Las Cruces, New Mexico owned by Bravo Mic Communications. It also covers surrounding areas such as Truth or Consequences, Deming, Hatch and West Texas. Advertising: . At LogFm.com you can listen to any of the 45,000 radio stations online. We have made it easy for you to find your favorite radio, listen to the music you like, find the best new songs, listen to the latest news, etc. Simply type the station name in the search box and enjoy your choice. Listen to the radio online at LogFm.com. Our E-mail: info@logfm.com. 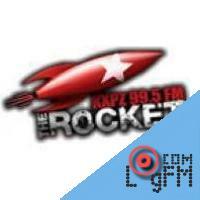 Live KXPZ-FM (99.5 The Rocket). Rock and pop music, to listen to the latest news online.All rights reserved. 2009-2019 © LogFm.com.